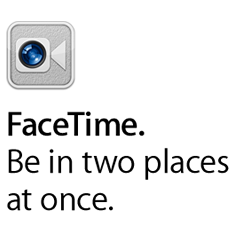 Say Hello to FaceTime for Mac. 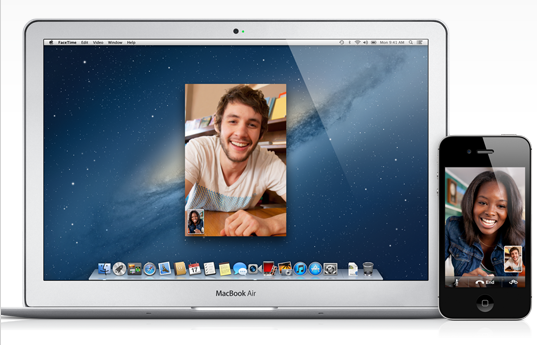 Make video calls from your Mac to another Mac — or to an iPad, iPhone, or iPod touch. * It’s easy. It’s fun. And it’s almost as good as being there. Now your smile goes even further. 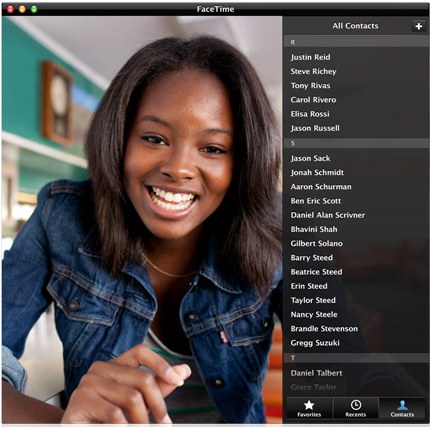 FaceTime for Mac makes it possible to talk, smile, and laugh with anyone on an iPad, iPhone, iPod touch, or Mac with a built-in FaceTime camera. * So you can catch up, hang out, joke around, and stay in touch with just a click. Sure, it’s great to hear a voice. But it’s even better to see the face that goes with it. From the tiny camera on your Mac comes a huge video-calling experience. The window frame and controls fade away so you can enjoy your conversation without distractions. With picture-in-picture view, you can see how you look to the person you’re calling. And everyone can gather around the Mac screen and get in on the fun. When you call someone on an iPad, iPhone, or iPod touch, you see everything on the other end without a hitch. * Whether they use the front or rear camera or rotate from portrait to landscape, FaceTime for Mac smoothly adjusts the view. 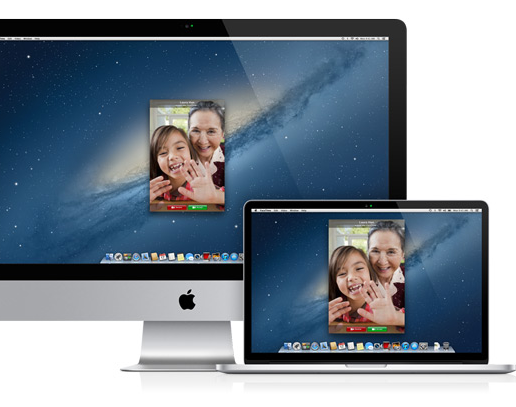 FaceTime is easy to set up on your Mac. 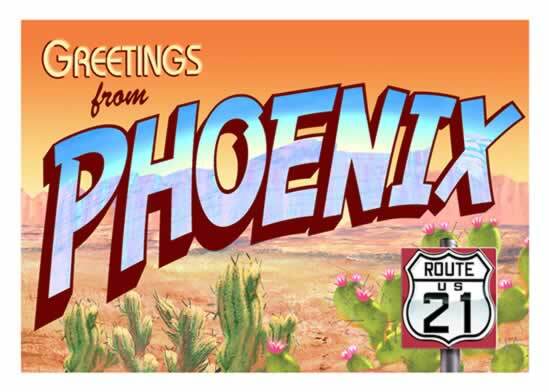 All you need is an Apple ID and an email address and you’re ready to roll. To start a video call with your best friend, just find her entry in the contacts list. FaceTime works perfectly with Contacts and Address Book so you don’t have to enter your contacts from scratch. Click her phone number if you want to call her iPhone. To call her iPad, iPod touch, or Mac, use her email address. An invitation pops up on her screen. When she accepts, the video call begins. And there you are, face to face. Mac to iPad, iPhone, iPod touch, or Mac. FaceTime here, there, and everywhere. 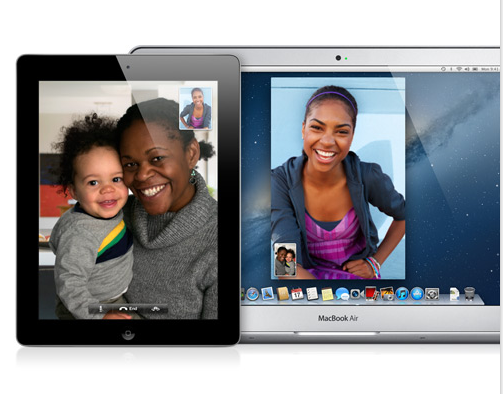 With FaceTime, you can see what everyone’s up to no matter which device they’re using — iPad, iPhone, iPod touch, or Mac. All it takes is a tap, a smile, and a laugh. Standards: Interaction. Tools: Video Chat. Disciplines: All. Grades: 3-5, 6-8, High School, Higher Ed., Pre K-2. Verbs: Apply, Demonstrate, Exhibit, Illustrate, Interview, Practice, Present, Talk, Teach.